I can't believe the kids have been back at school for two weeks now. The summer holidays were over so quickly, and for the first time ever I found myself wishing that we had an extra couple of weeks together. Our summer wasn't perfect - whose is? - but it was good. As usual I planned, and we stuck to it for the most part. We had very few 'I'm bored' whines. We had loads of days at the beach and the park. We spent a lot of time in the garden and the children played well together. We went away to La Rosa campsite and the kids coped brilliantly with the break. We got lots more guinea pigs and Mini is loving them. We did lots of crafts at home and spent proper quality time together. We went fruit picking a LOT and Mini learnt to make jam. We went to London for a day out and the man in Fortnum and Mason complimented the children on their behaviour. It was just really relaxed and chilled. But by the end the children were starting to bicker and compete, so although I'd enjoyed having them at home, I knew they were ready to go back to school. In fact, Dollop started school, and has settled brilliantly. She loves it, and even though her tummy hurt this morning, she was still desperate to go in. She's made friends and so have I. And Mini has settled well too. He has been reluctant on many days, but we've made it there - on time too - and he's gone in and got on well. Mini tells me he's been placed in the top maths group - which makes me proud, but I'm prouder of the fact that he told me that he's worried about it in case it's too difficult. So now I'm a stay at home mum, with 2 school children. I'm also suffering with depression and something called TJD. I am tired ALL the time. 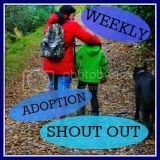 I'm taking some time to look after myself, and gently get back into the swing of school runs, blogging, housework, and all the other things that a mum has to do. How are you managing? Have your children settled back into school routines OK?